Today I get to reveal the cover art for a brand new story! I’ve been working on this one for a while but keeping it somewhat quiet. Now, it’s finally ready to share! This is where the fun part happens. First off, let me show you the gorgeous cover, designed by the very talented Steven Novak. Eva has two secrets. The second is that she periodically vanishes into thin air. Usually, Eva’s spontaneous disappearances last only a few minutes, but on the day of her high school graduation, she vanished for nearly ten years. For a decade she was invisible and intangible—unable to be felt or seen or heard. She can’t imagine a worse torture than standing on the outside looking in. Now she’s back, but it’s not enough to be tangible once again. Eva needs to find a way to stop vanishing permanently. Which is why she’s facing her ten-year class reunion—and her ex-boyfriend. The clue to stopping her disappearances must be tied to him, intertwined with their past. Unfortunately, approaching him is awkward-level five billion, considering he broke up with her ten years ago. When Eva starts getting threatening texts from an unknown source, she realizes the reunion has just gotten even more complicated. Especially when she discovers that source has found out about her second, worse secret. In order to find the key to stop her vanishing, Eva must battle grudge-wielding friends, relentless old crushes, and a classmate with a vendetta against her. And, in the meantime, hope she doesn’t vanish again. Because somebody wants her gone for another ten years. This standalone story blends romance with fantasy. It has a slightly different feel than the Flawed series (it lacks the serial killers, for one thing) and my other books, but if you’re looking for a good love story with a twist, look no further. The idea for this story actually started from a dream I had a few years back. It was one of those dreams where, when you wake up, you keep trying to go back to sleep so that you can see how it ends. I was not so lucky. So instead, I created my own ending while fully awake. Vanish is currently in the final, proofreading stage, which means it is very close to pub-ready. I plan to release it in just a few weeks. 1. Set aside time to read it within the next two weeks. 2. 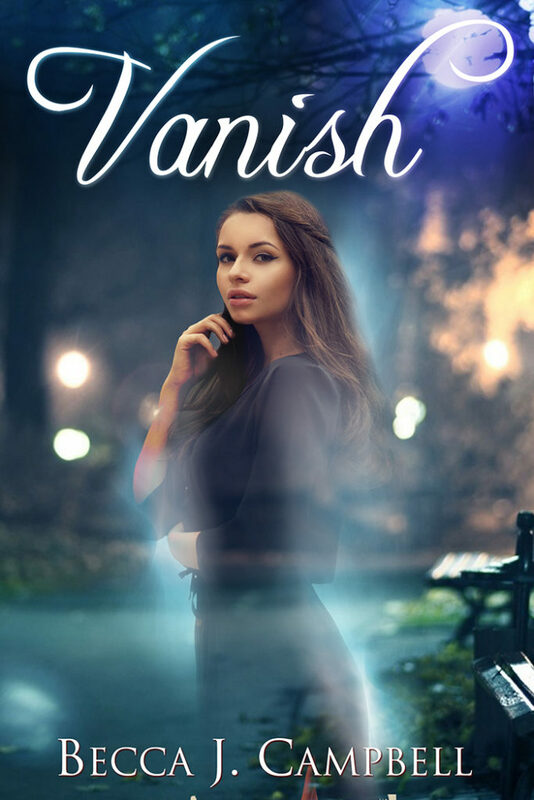 Agree to share your honest review of the work on Amazon, Goodreads (and wherever else applicable) when Vanish launches. That’s it. If you’d like to reserve your ARC (advance review copy) of Vanish, email me at beccajcampbell@gmail.com, and I’ll get you hooked up. Once you’ve done that, mosey on over to Goodreads and add it to your to-read shelf. This entry was posted in Books, My Works and tagged amreading, ARC, becca j. campbell, book, books, books for review, fantasy, fiction, Flawed series, Invisible, Magical Realism, New Adult, novel, reading, reviewers, reviewers wanted, sci fi, science fiction, turning invisible, urban fantasy, Vanish, vanishing, writer, writing. Bookmark the permalink.